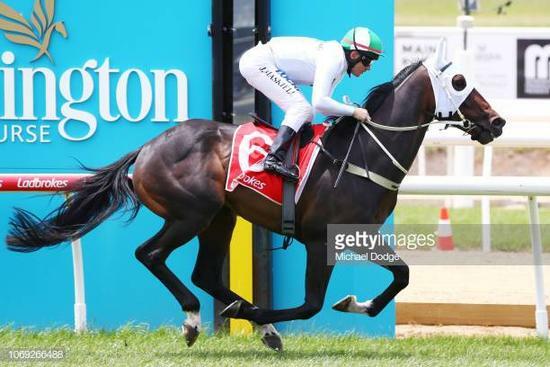 DOWN SOUTH & ABOUT, The stable kicked off with a winner when Rakau Whero scored on 7 December at Mornington when arriving 1 3/4 lengths in advance of City Chap and Mr Kardashian when taking out a 2400m Maiden at set weights under Jason Maskiell @ 58.5 kg, to score after being prominently ridden as the race favourite to win in a time of 2:33.03 breaking the four-year-old Bay or Brown geldings Maiden status. At Sale on December 23, Reliable Magic arrived first in a field of eight when scoring a staying type BM58/2200m with Martin Seidl scoring under 60 kg from barrier 7, narrowly defeating Dream Big & Alienated by a nose after travelling near the tail via the 800m before lifting to stop the clock at 2:17.51, to bring up win 2 at start 13 with 4 placings thrown into the mix. FROM UP NORTH,Okochi Archer scored a maiden prize at the Gold Coast on December 8 when the three-year-old Bay gelding secured the win in a 900m dash under Jason Taylor scoring by 1.25 lengths in advance of Magic Scent in a time of 51.59. The runner followed up that effort with a second at the same venue in a BM 62 under Jason to arrive a length behind Clint in a time of 51.12. Three-year-old Bay or Brown Filly, Calzini continued to impress with a second to kick off December at the Gold Coast on the 15th under Jason Taylor arriving one length behind Boom Chicka Boom under Jason Taylor before heading back to the same venue one December 29, scoring a 1200m prize of class 2 value when beating Viking Raid home by 1.25 lengths in a time of 1:09.47 under Jason Taylor. The Filly now has a record of six starts for three wins and a placing between 900m & 1200m earning just under $37k. The team performed well during the month of December but with many placings across the stables, we are hoping we can fire a shot off early to kick off the year, 2019. All the best to all for the up & coming year.